We are sure you agree that the children did amazingly well in their Christmas carol concert on Thursday. We were so proud of their confidence and memory for lots of tricky words! A special mention to Quinn F, who kept the rest of us in time! Today the children opened their class presents from Father Christmas. We got a game of Screwball Scramble, Kerplunk, 12 packs of playing cards to build towers and a toy horse set. Father Christmas knows us well! We enjoyed playing with them today. Have a look at the photos below. We hope you all have a very Merry Christmas and a Happy New Year. Thank you so much for your generous wishes, cards and presents. This week we have been retelling the Christmas story. The children started by making their own story sticks to remind them of the order of the story. Using wool for the sheep, gold for the kings and feathers for the Angel Gabriel. Sketching pictures of the snowman from the story. Using the inks to marble the background for our snowman picture. Painting the background for our DT weaving project. Using wool to weave in and out of string to create a Christmas tree picture. Using tens and ones to subtract. Working systematically to solve a Christmas candle challenge (see below). Learning the 5 times table. Using inverse to solve and prove addition and subtraction sums. Using Mickey Mouse ears to solve missing number sums. We created these pictures by using the inks to marble the paper. We then sketched a picture of The Snowman and carefully stuck it on to our backgrounds. Here's some examples. Finding fractions of a shape: half, quarters, three quarters and thirds. Inverse and addition missing numbers. Reading the story 'George saves the world by lunchtime' and talking about how we can look after our world. Using adjectives to write a snowman adventure. Investigating how temperature and salt affects melting. Using clues to find our new topic is Christmas! Discussed advent and created our own calendar. Learnt our songs for the carol concert. Today we have been scientists! One group put salt on their ice cubes, one group covered theirs with a jumper, one group was the control group, one group put theirs on the radiator and the last group put theirs on the windowsill. We then put the timer on and recorded observations to see which group's ice cubes melted the quickest. We made our predictions before, making lovely links with previous learning. The children were surprised to see that the ice cubes with salt, melted the quickest and the ice cubes with the jumper melted the slowest. This started lots of discussion! Have a look at the photos below. Don't forget it is the Christmas bazaar tomorrow. Hope to see you there! Practicing inverse + and – number sentences. Adding two 2 digit numbers. Learning to count in multiples of 3. Thinking of ways we can be respectful in school and designing posters to help others to be respectful. Considering the things we are responsible for and how we can have responsibilities in school and at home. Investigating how different scientists changed the world by being curious and discovering new things. Thinking about empathy and what it is like to step into somebody else’s shoes and how we can be more kind and thoughtful. Persevering with some very tricky tasks. Using subheadings to write information about our values. This week the whole school have been taking part in Values Week. We have done lots of different activities to help us develop our 5 values. Respect- we showed our respect for the school grounds by going on a litter pick. We also designed posters to tell others how they can show respect for each other and the world around them. Responsibility- we discussed who and what we are responsible for and wrote one example on a cut out of our hands. We also decided on our class job, such as librarian, cloakroom monitor and pencil pot checker. Perseverance- we really had to use our perseverance skills to take part in activities, like building a card tower or completing the 200 piece jigsaw. We found that sometime you just need a little help and encouragement. Empathy- we put ourselves in other peoples shoes by drawing around our feet and writing a target to show how we can be kind to each other. Curiosity- we learnt about how inventors had been curious and ended up changing the world. We looked at things through the microscope, tried to make the bulb light up in the circuit and looked at some x-rays. Have a look at the photos below. Learning how to divide by sharing. Learning to tell the time to 5 minute intervals. Reading and answering questions about remembrance day. Taking part in a minute silence. Practicing our oracy skills to present our houses to the Year 1s. Using charcoal and paints to create a seasonal landscape. Practicing and performing our class assembly. Well done Foxes! They were so fantastic in their class assembly this week. A special mention to Quinn B, Kamile and Liberty who were understudies for an absent child. On Thursday we invited the Year 1 children to listen to presentations about the rooms we had made. Before they came, we wrote a checklist about what makes a effective speaker. Have a look at the photos below. 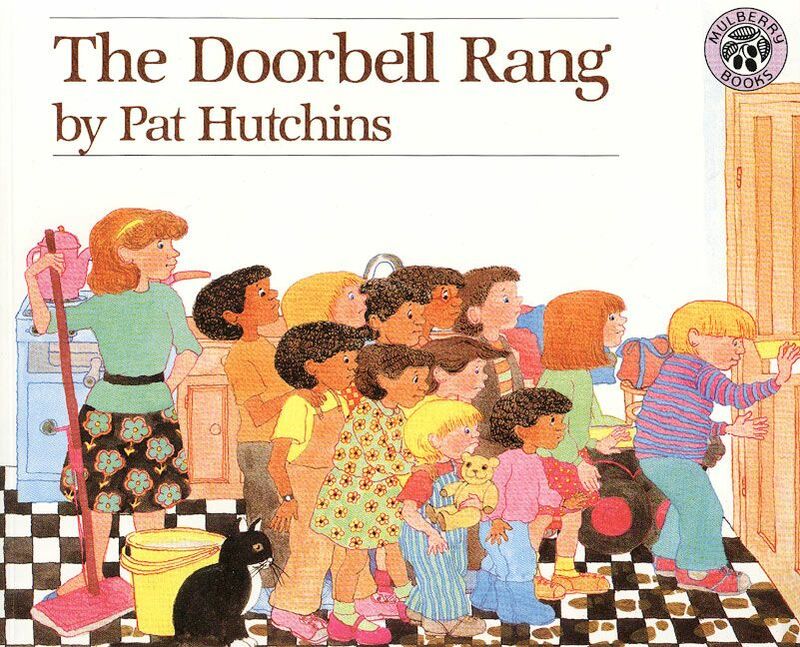 In maths this week, we used the story 'The Doorbell Rang' by Pat Hutchins to learn about division by sharing. Two children started off with 12 cookies, but as more children joined we realised that the larger the number we divide by, the less cookies we get! Luckily at the end of the lesson some fresh cookies were delivered and we got to eat them. Looking for patterns in our addition and subtraction sums, e.g if we know 23+11, we can work out 23+12 and 33+11. Solving addition and subtraction sums. Solving addition and subtraction word problems. Rehearsing O'clock, half past, quarter past and quarter to times. Learning about remembrance day and making our own class poppy wreath. Taking part in a Lexicon art competition to design a gift card. Adding instruments to the song Hands, Feet and Heart. Evaluated our DT room, discussing what we did well and what we would change next time. Using joining words in our writing. Reading about bonfire night and answering comprehension questions. Don't forget it is our class assembly next week. It is on Thursday at 9 am. All the children have a line to learn, please help them to practice them at home. Have a look at the poppy wreath we made this week, using a range of different materials. Using past tense to write about our half term news. Writing a prediction, recording results and evaluating during science. Identifying and describing the properties of 2D shapes. Solving a mixture of addition and subtraction sums. Learning to tell the time using O'clock, half past, quarter past and quarter to. Finding the beat in the song 'hands, feet and heart'. Adding finishing touches to our rooms. In science this week we investigated which material would be the most suitable for a toddler's dungarees. We decided that the material needed to be hard wearing so we wrapped different materials around a rock and counted how many times we could rub them on the ground before a hole appeared. For some of the groups, they had to rub the denim over 100 times! Take a look at foxes in action. Have a look at the piece of work below to see how we made sure it was a fair test. Thank you for coming to parents evening this week. It was lovely to tell you how fantastic all the children are! Hope you all have a lovely half term. Thinking of a writing target to make our writing even better! Learning how to change repeated addition sums into multiplication. Drawing arrays to solve multiplication sums (see example below). Looking at the names and properties of 3D shapes. Continuing to build our rooms in DT- learning how to use tabs to make things stand up. Using the musical instruments to play a rhythm pattern. Creating the design for our Christmas cards (and discussing how Christmas is still a long time away). Practising subtraction using place value houses. Finding different combinations of coins that make the same amounts. Writing the opening of our own ‘Borrowers story’ using good adjectives. Using a variety of skills such as measuring, estimating, and cutting to begin making our own ‘Borrowers’ rooms in DT. Doing yoga and practising our balancing skills in REAL PE. Discussing actions and consequences in PSHE. This week in Real PE we became pirates! An important part of pirate training is being able to stand on one leg, first for 10 seconds and then 30. Then we played our own pop up pirate game. The children had to see how many pieces of treasure they could balance on their one legged pirate partner. They did really well, one team managed to balance a record breaking, 12 pieces! Have a look at the photos below from our school trip to Bekonscot. The children were very well behaved and enjoyed looking at the model village. During the workshop the children were shrunk down to model village size and learnt about what each room in the past would have had. The children have started making their own model rooms. Today we wallpapered and laid the carpet. We have really loved looking at the secret gardens, model rooms and hidden worlds that have been coming in. We will be using them as inspiration! Estimating objects in metres and centimetres. Using a ruler to accurately measure. To add two measurements together and record. Using < > = to compare two measurements. Collecting Autumnal adjectives to write a poem. Planning the furniture for our rooms. Discussing rewards and consequences in PSHE. Taking part in the Red, White and Blue day. Used mixed materials to create our own Union flags. During RE we have been learning about signs and symbols in Christianity. We then used what we have learnt to create our own stained glass windows. They look beautiful on our windows and light up our room with lots of bright colours. Using symbols to create our own stained glass windows. Adding two, two digit numbers together using tens and ones. Identifying coins and paying for an item. Using adjectives in our writing. Writing about a setting of a hidden world. Using Michael Rosen's poem 'A woolly saucepan' to discuss the properties of materials. Designing a room for our DT project, using labels. Discussing what having 'rights' means and how the sense of belonging in our class, comes with responsibility. This week in science we looked at the poem 'Woolly Saucepan' by Michael Rosen and it inspired us to write our own silly combinations. Here's an example of one, by our very own poet, Fletcher. Reading and drawing pictograms and tally charts. Subtracting, showing our working out using tens and ones houses. Creating our own 'Borrower' characters and writing about them, thinking about their appearance and personality. Identifying materials in our class room and imagining what it would be like if everything in our rooms were made of wood. Printing our own wall paper using different objects and repeating patterns. Sharing objects that are important to us and thinking about why signs and symbols are important to people of different religions. Thinking about our worries; how they can make us feel and what we can do with them. Hopefully you have all seen a copy of the trip letter to Bekonscot Model Village on the 4th October, if not please see the office. We are going to be using this trip as inspiration for our own model houses. Thank you for all your shoe box donations so far, we would still like some more to ensure all our houses have enough rooms! We are also collecting anything that could be turned into furniture, such as small pots, lids and corks. Also any interesting materials that could be used for the soft furnishings. We have also been playing a caterpillar game to help with place value. To do this you need two people, a caterpillar board and a dice. The aim of the game is to roll the dice and try to make the biggest 3 digit number. Then your partner tries to beat your number by thinking carefully about whether they will put their number in the hundreds, tens or ones column. The winner has to explain why they know their number is the biggest, e.g. my number is biggest because I have a 7 in the hundreds column and you only have a 6. Drawing tens and ones to solve addition sums. Using < > = signs to compare two and three digit numbers. Counting in tens, starting from different numbers. Using our photos to research the different furniture in rooms. Using subheadings, commas in a list, full stops and capital letters when writing about different rooms. Taking part in our first yoga lesson. Identifying different materials and discussing their properties. Discussing about signs and symbols as part of our RE curriculum. Creating our own symbol to represent us. To use 2Paint on the LearnPads to create a impressionist style of art. This week we received a letter instructing us to solve a riddle to find some hidden clues about our new topic. After cracking the riddle we braved the Wild Garden, stinging nettles and all, to find lots of miniature doors. Revealing our topic is Hidden Worlds. Thank you to so many of you for attending the Parents Meeting on Tuesday, it was nice to have such a big turn out. We understand that it's difficult for you busy parents to attend every event, so for those who missed out, here is the presentation we went through. As always, any questions or concerns, please speak to me on the door, send an email or give the school a ring. At the end of each week, we will post a weekly review of all the learning we have been doing in Foxes class. Practising and perfecting our classroom routines. Becoming fox experts and writing statements and questions using correct punctuation. Thinking about the months of the year and when our birthdays are. Practising place value by identifying how many tens and ones, different 2 digit numbers have. Counting in multiples of 2, 5 and 10. Discussing and creating our own class charter. Creating our own self-portraits using oil pastels. Making fox masks using our cutting skills. Choosing our School Council and Eco Team representatives in a class election. Welcome back, I hope you've all had a lovely summer. The children have been fantastic foxes on their first day in Year 2. Please see the photo below of the children in their fox masks. Don't forget that Foxes Parents Meeting is on the 11th September at 2.40 pm, this is an opportunity to talk about Year 2, see the classroom and ask any questions. Don't worry if you are unable to attend, I will also add the information to the website.